Being lonely isn’t anything new for 45 year old Rose Terrance. After all, that’s what she signed up for when she married beautiful, 33 year old movie star, Michael Terrance and in spite of her loneliness, their love stays strong. 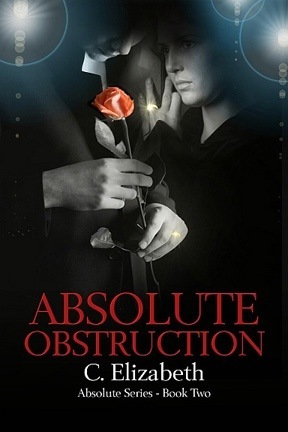 However, their love, nor Michael’s vehement overprotectiveness, can shield Rose from a threat that is beyond Michael’s comprehension, one that annihilates his heart and lines his soul with guilt. For the majority of her life she dabbled in many things, such as drawing, photography, sewing, only to find that after a while, she would lose interest, but writing is a different story – it found her and continues to be an addiction, as well as a most wonderful, incredible passion. You can learn more about C. Elizabeth at her website at http://www.celizabeth.ca. Imperfectly Beautiful $100 Amazon Gift Card or PayPal Cash Giveaway! Though twins, Rebecca and Regan couldn’t be more different. Steady and reliable, Rebecca chose to be a wife and stay-at-home mom. From the very first moment she met James Conrad—tall and muscular with eyes as blue as a cloudless sky—she was captivated. Married and four children later, Rebecca’s life is not what she expected. Her marriage has lost its shine and her sweet babies have become challenging and often unappreciative children. Both Rebecca and Regan must discover, a higher power has the answers to what matters most, but when a serial killer strikes nearby, and his victims look eerily similar to the twins, will it be too late? Diony George is a wife, full-time mom of seven, grandmother of two, and a published author of uplifting women’s fiction and inspiring nonfiction. She is also a regular contributing writer for Deseret Connect and FamilyHow. Originally from Alaska, she currently lives in Salt Lake City with her family. Besides writing she loves to read, especially romantic suspense, bake, sew and craft. Her current fiction WIP, Inside the Heart, is based around the kidnapping and disappearance of four-year-old Emma and is slated for release in Feb 2013. Her next nonfiction book, Heaven’s Just a Prayer Away will be released by Cedar Fort, Inc in July 2013. Book Blast Giveaway $100 Amazon Gift Card or Paypal Cash Ends 11/29/12 *You need not enter your twitter name for each entry. Simply enter it for the first person you follow and leave the others blank. 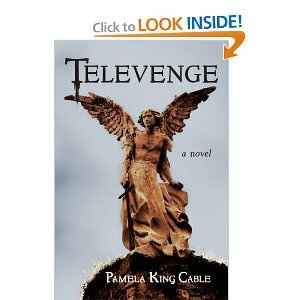 Pamela King Cable took me to a world I did not know existed until I read Televenge. In this work of fiction, we are introduced to a young lady named Andie who simply wants to be a wife and a mother. Andie’s family is not completely ‘sold’ on the local church and their larger-than-life minister but her husband, Joe and his family are so involved as if they are brainwashed. Reverend Calvin Artury is the minister of this church and he has ambitions beyond his local congregation. Artury believes he should be a worldwide phenomenon and will not stop at anything to gain his fame. The church seemed to be like a cult and it has all of the drama and suspense that one could only imagine. Andie Oliver is a faithful woman—to God, to husband Joe, and to televangelist Calvin Artury, a Godfather in a Mafia of holy men. Joe works limitless hours on the megachurch ministry team, falling deeper into debauchery, while Andie attempts to free him from the Reverend’s control and far-reaching influence. Uncovering long-hidden truths—even murder—she loses everything, including her children. Andie fights for redemption for her family and herself, confronting the very definition of sin, and shaking the Christian evangelical world to its core. Evading ruthless adversaries who will go to any lengths to protect Reverend Artury, Andie battles the dark side of televangelism.